Announcing new CD ‘All My Heart is Listening’! 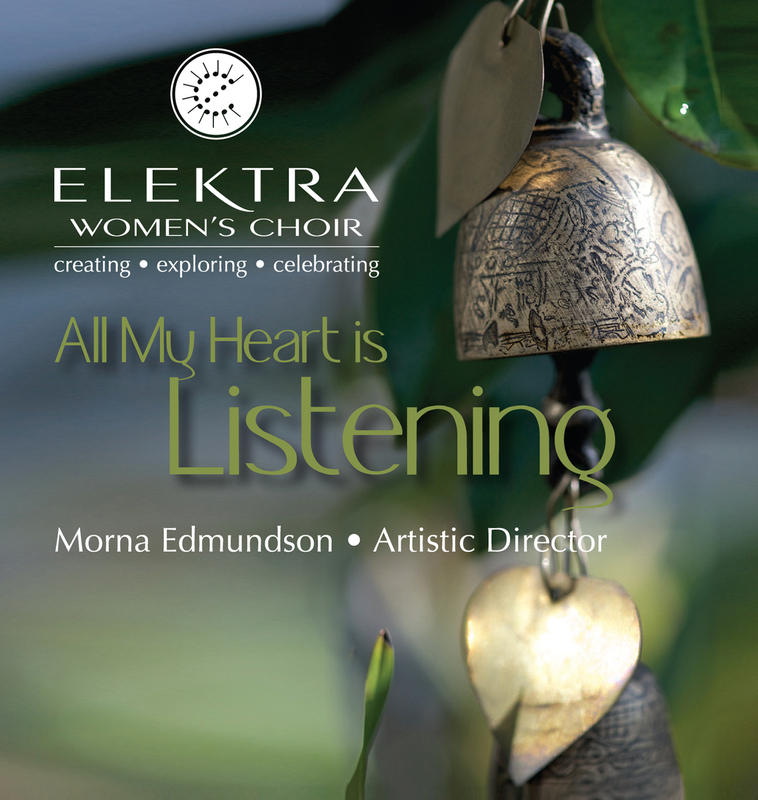 All My Heart is Listening – a line from the beautiful poem Noche de Lluvia by Juanita de Ibarbourou and the title of Elektra Women’s Choir’s twelfth recording. Elektra is delighted to announce the release of its 12th CD, featuring music of composers Christine Donkin, Malcolm Edwards, Bjørn Kruse, Ramona Luengen, Kate MacColl, Sid Robinovitch, Sheldon Rose, Stephen Smith, Ward Swingle, and Joan Szymko. Our audiences will remember many of these pieces from recent concerts in Vancouver and on tour: from the delicate opening notes of The Dawn is Not Distant to Joni Mitchell’s The Circle Game, and Smith’s Consider the Lilies. Smith’s longstanding relationship with Elektra is celebrated through many tracks featuring his playing, compositions and arrangements. We are very proud to include two tracks recorded under the direction of Norway’s Maria Gamborg Helbekkmo in 2013. Full details and how to purchase or download here. Elektra launches Youtube series ‘The Elektra Sound’! → ← Choral Leadership for Young Women!